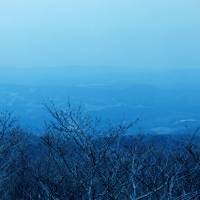 Photographer Tomoki Imai has been a blur of activity since we reached the lookout point halfway up 601-meter Mount Higakure in the Futaba district of Fukushima Prefecture. Despite it being late April, with cherry blossoms in the forests and hamlets lower down, snow flurries and freezing conditions in the mountains the day before made long-range shooting virtually impossible. So Imai was in a hurry to make up for lost frames. After some pre-production work — kicking away knee-deep snow on the observation deck and removing twigs and branches in his line of fire — the 39-year-old artist finally pauses. 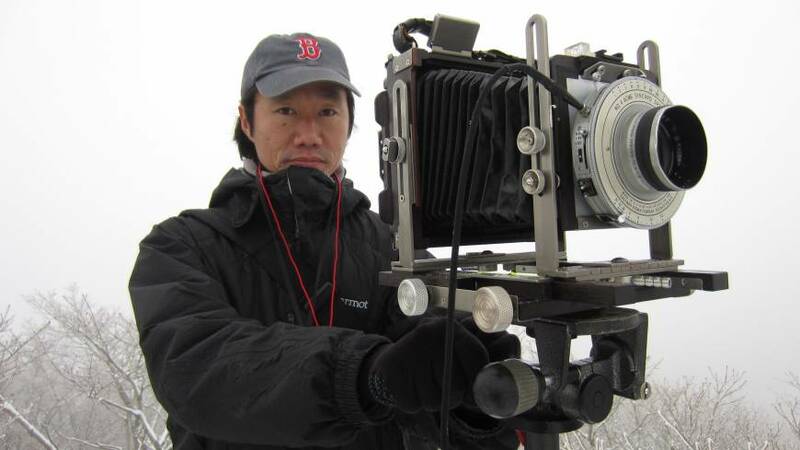 Then, looking up from the ground-glass eyepiece of his vintage camera, he gazes at the subject of his scenic portraits for the past two years: the Fukushima No. 1 nuclear power plant leaking radioactivity on the horizon just 12 km away. Daytime access to certain mountains on the outskirts of the town of Okuma, where the stricken Tokyo Electric Power Co. (Tepco) plant is located, was finally lifted in December last year — some 21 months after the Great East Japan Earthquake that triggered the nuclear catastrophe. Since then, this is the closest Imai has ever got to the focus of his artistic quest. 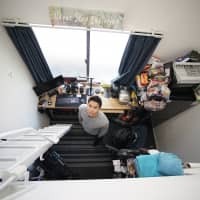 Back in the immediate aftermath of the disaster — prompted by news that a statutory 20-km exclusion zone would come into force around the plant on April 22, 2011 — Imai went up to Fukushima Prefecture on April 21 from his home in Tokyo 280 km away to the south. 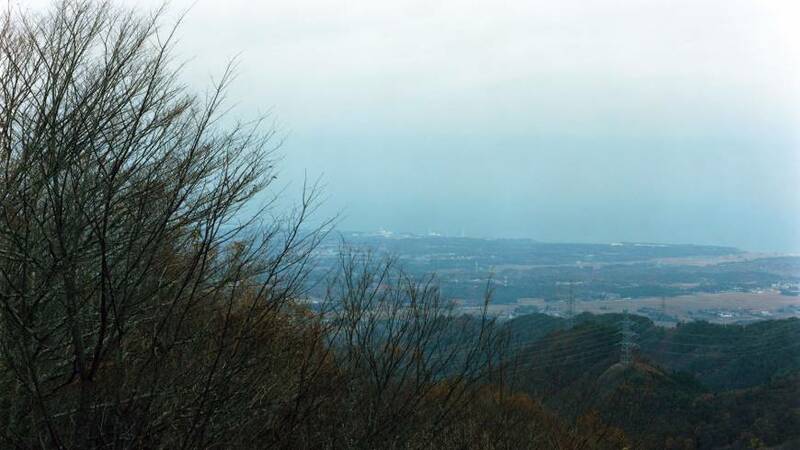 On that first shooting trip he climbed Mount Tekura, 18 km from the Tepco plant, to get an unobstructed view from its 631-meter peak. “I wanted to stand there and see the No. 1 plant with my own eyes,” Imai explains, adding that it is now exactly two years since that day — and this will be his final Fukushima shoot because he’s decided it’s time to get on with other projects. 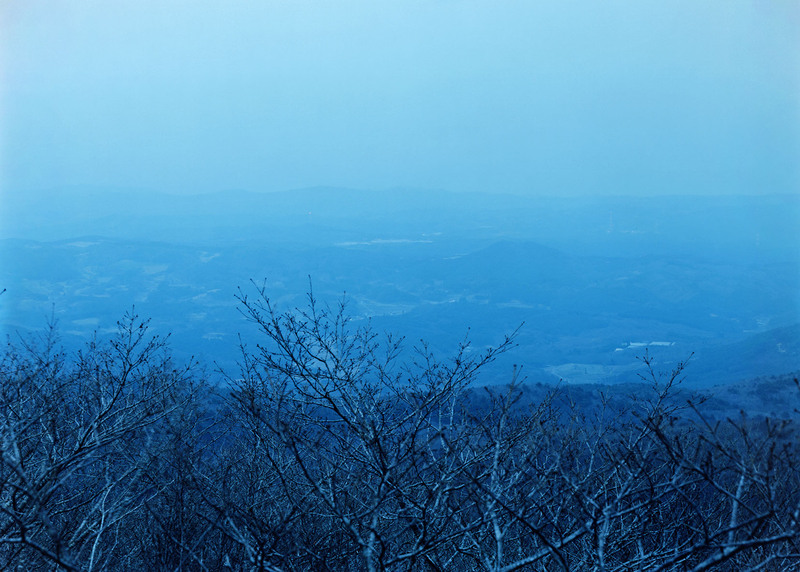 More importantly, the methodology he has employed since that day in 2011 — simply pointing his camera directly toward the epicenter of the three reactor meltdowns from distant mountaintops — became the core concept for his exhibition at the Taka Ishii Gallery of Photography and Film in Tokyo’s Roppongi district earlier this year, and for his recently published photo book “Semicircle Law” (Match and Co. Ltd.). 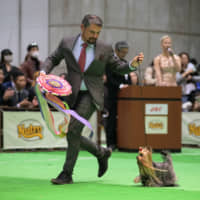 The culmination of two years’ work, “Semicircle Law” — unlike the apocalyptic images now generally associated with Fukushima’s nuclear tragedy — reflects a more subtle approach Imai resolved on adopting. 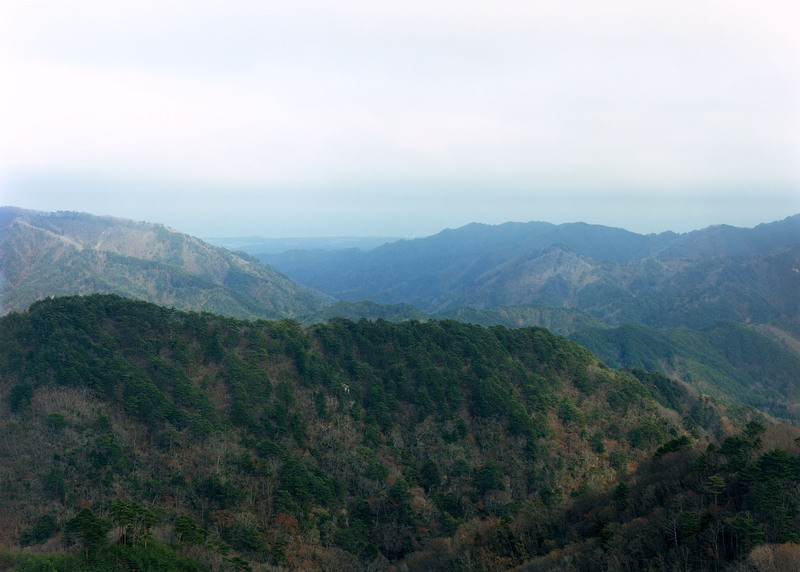 Hence, during each of his nearly 20 visits to the region, he donned hiking boots and — toting his large-format camera and a tripod — climbed 18 peaks within a 30-km semicircular radius of the coastal Tepco plant (because the other half of the semicircle is over the Pacific). Once there, he checked the compass bearing and trained his lens on the nuclear facility. However, among the book’s 25 landscape photographs, the infamous, wrecked block-shaped reactor buildings are rarely to be seen. And if they’re visible at all, it’s as little more than tiny specks on the distant shoreline. Instead, in Imai’s book the nuclear plant is presented as a nonentity: clouded over by an overcast sky or lost in a summer haze in many shots; hidden behind a birch tree or an autumnal hillside in some; or framed by snow-ladened firs in others. So for “Semicircle Law,” as its nonspecific title seems to suggest, it’s not a criterion that the nuclear plant is clearly visible — or indeed, present at all — in its images. 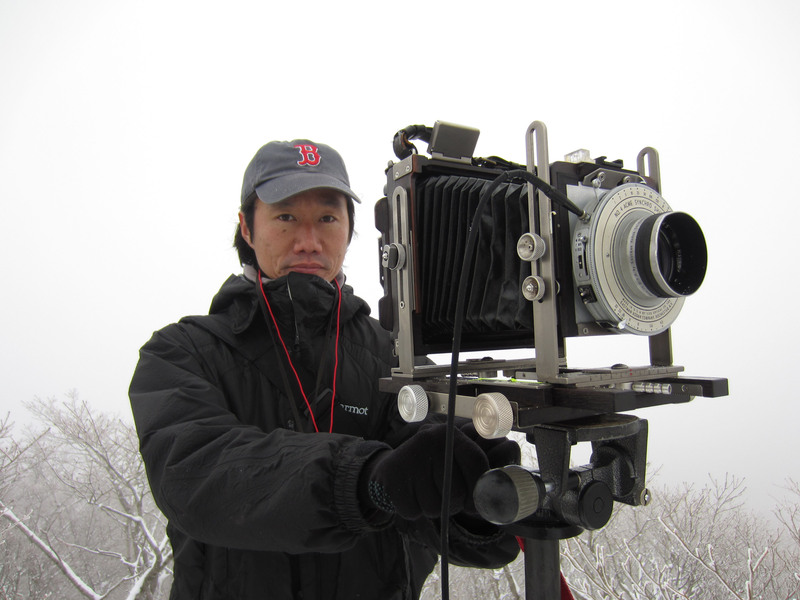 According to Imai, though, what is of major importance is what lies beyond those images — whether we see it or not. It was an idea he happened on in his darkroom. “When I first climbed up the mountain, I remember being really nervous and scared,” he recalls. “But when the photos actually started coming out, I realized that the prints didn’t necessarily reflect all the trepidation I felt. As singular as that approach may seem, it’s not so surprising for an artist who has, over more than a decade, created a signature style shooting often eerie studies of forbidding forests, empty streets and deserted urban landscapes ever since the publication of his first book, “In The Middle of The Day” (2001), which sought to extract the sublime from the most mundane scenes of city and rural life. 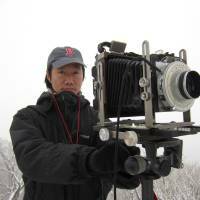 However, for his Fukushima project Imai says the idea of photographing buildings or rubble in the devastated northeastern Tohoku region of Honshu never seriously crossed his mind. 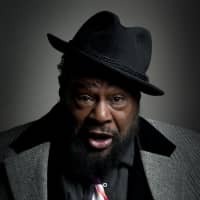 “First, there were many restrictions on where I could go, so the cities were kind of out of the equation to begin with,” he explains. 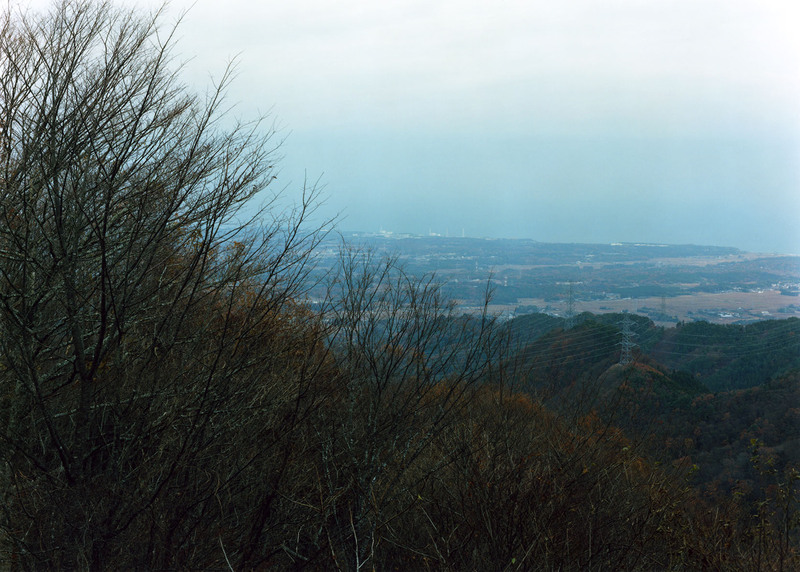 “But once I started taking photographs in the mountains, I realized that was another valid way to document the ongoing aftermath of the disaster at the Fukushima No. 1 plant. It is this juxtaposition — the radioactive elephant in the beautiful room of nature, as it were — that invests his otherwise picturesque and seasonal shots of lush forests, valleys and foliage with a haunting, invisible presence. 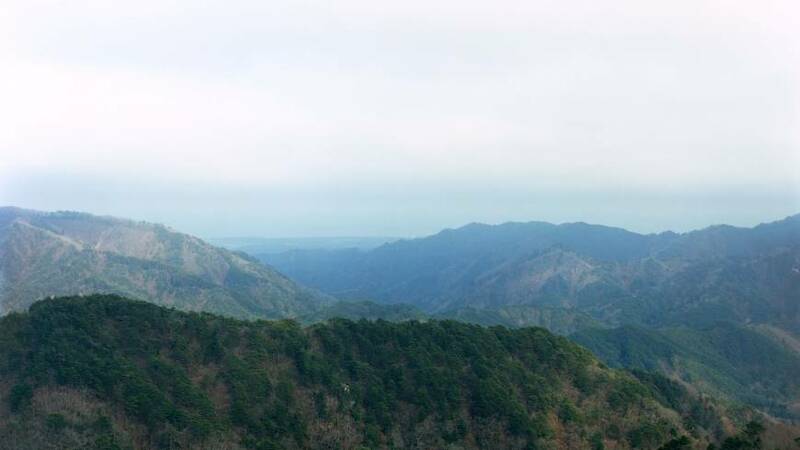 As if to prove Imai’s point, the trail to our lookout point on Mount Higakure from the Sakashita Dam — which was a popular fishing spot for carp and smelt before the reactor meltdowns — offered stunning panoramic views of Fukushima’s Abukuma mountain range and the Pacific coastline. Yet, though radiation will force residents to regard the landscape quite differently for an untold time to come, at first glance it’s as if contamination has yet to taint the cyclical nature of Mother Earth in these parts. But then that reality intrudes. Returning to the base of the mountain overlooking the manmade lake behind the dam, we find a public radiation-monitoring post indicating a reading of 0.44μSv/hour — roughly 40 times the level in Tokyo on the same day. Moving on from there, before heading back to Tokyo we decide to drop by the abandoned tsunami-ravaged town of Tomioka, which had been off-limits until just recently. There, a mere 10 km from the nuclear plant, we were chastened to find the radiation readings were almost 10 times those by the dam — some 400 times Tokyo levels at the same time on the same day. 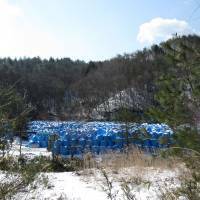 Meanwhile, though casual visitors in such irradiated parts may see evidence of the government’s decontamination efforts and think effective programs are being carried out, it doesn’t take an expert to realize other new problems are kicking in. 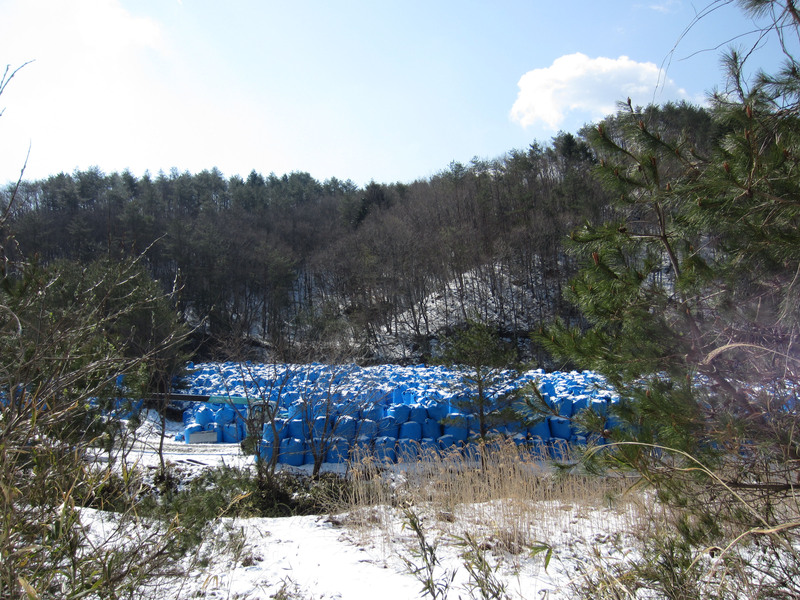 For instance, though dozens of cleanup workers were filling plastic bags with contaminated mud and leaves from hillsides and roads in deserted areas of Futaba close to Tepco’s plant, it was deeply disturbing to see huge mounds of those bags filled with radioactive waste dotting the landscape with nowhere to go. 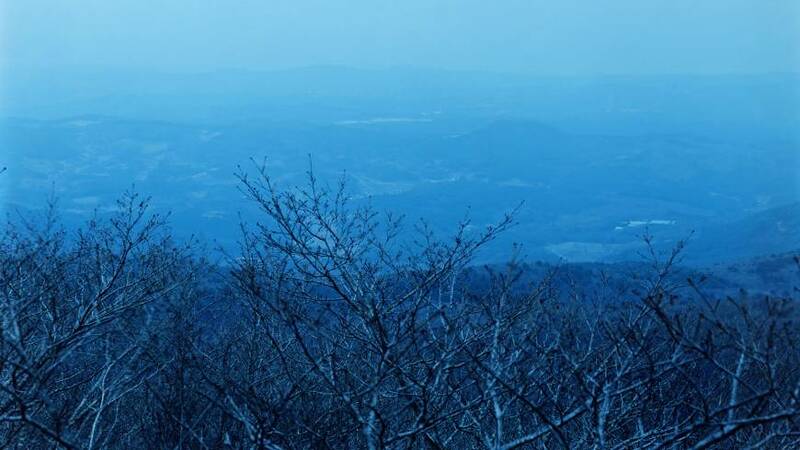 Though Imai has decided to part ways with Fukushima for now, sights like that produced hints he may like to return with his camera in the future. In the meantime, he is worried that the majority of Japanese people south of Tohoku are already starting to forget about the troubles up north. 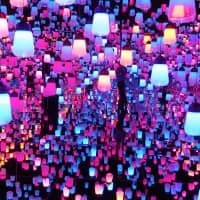 “There is this really bad tendency for Japanese people to easily get fired up about an issue and then completely forget about it once another topic takes its place,” was how Imai put it when asked about the evident lack of momentum behind anti-nuclear protests nationwide compared with last year. “That’s one of the reasons why I started this project — I, myself, didn’t want to forget,” he explains. 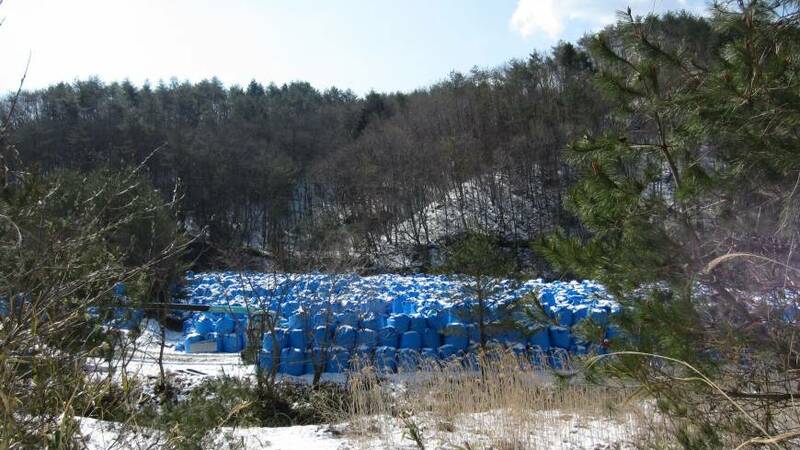 And indeed, as Imai so well reflects in “Semicircle Law,” Tepco’s Fukushima No. 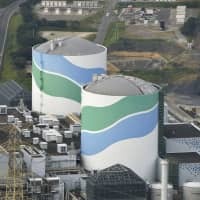 1 nuclear power plant — and myriad issues connected with it — remain largely an enigma for individuals to ponder and figure out. 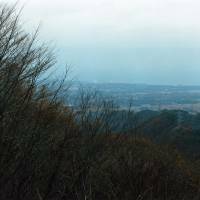 That’s except for one page in the book, perhaps — one at the end where he provides an indexed map precisely citing the place each photograph was taken from, and when, and the distance from there to the nuclear plant. And that, he says, is what is truly important. 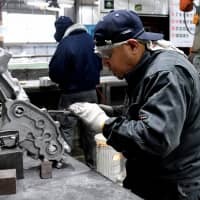 “Even in Tokyo, after just two years, people are finding it more convenient to simply forget the issue,” Imai points out. “So what I’m attempting to do by focusing each photo in the direction of the nuclear plant is remind people, like hey, it’s right over here — whether you see it or not. If you head straight in the direction I’m shooting, that is where the nuclear reactors lie.